The Morristown Bicycle Plan sharrows and signs will start showing up on some streets in town this summer and we are looking forward to even more people getting around town on bikes. 27% of people in a recent Daily Record poll said they would def ride their bike around town, that Morristown is becoming more biker-friendly all the time. And then the rest of the people responding were like, um, no. We totally get that riding in the road is sometimes scary! People might honk. You aren’t sure how to get over in the lane to make a left turn. Maybe people gave you bad advice when you were learning to ride, like ride against the flow of traffic or hug the curb or ride on the sidewalk. Listen, it is really true that we all don’t know this stuff. When we learn to drive a car, we take classes and learn how to move in traffic, but for some reason we just expect people riding bikes to just do it. That’s just silly. 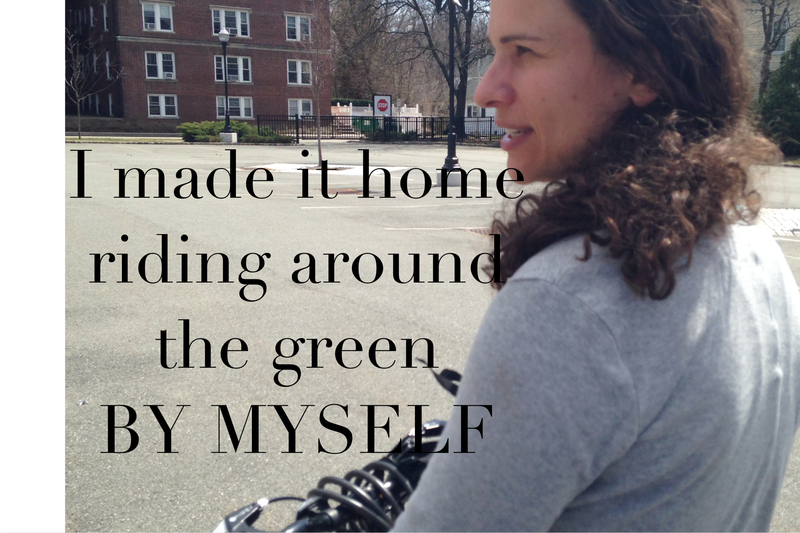 So what can you do if you want to start living a healthier life and getting around town in a happier way? Take a class! Bike & Walk Morristown’s instructors (along with some help from Transoption‘s bicycling instructors) can teach you in one day how to navigate in traffic, techniques to avoid a crash, teach you about New Jersey bike laws, and other good stuff like how to repair a flat tire. We have classes scheduled every month through July and you can register online here. Classes start at 8:30 in the morning and are a full day, finishing up around 5-ish (tho maybe earlier or later depending on how many students). This is a long day, but this class is packed with information and instruction that will change the way you ride your bike in traffic, make you safer and make riding a real pleasure instead of something that is scary. Happy riding, you can do it! 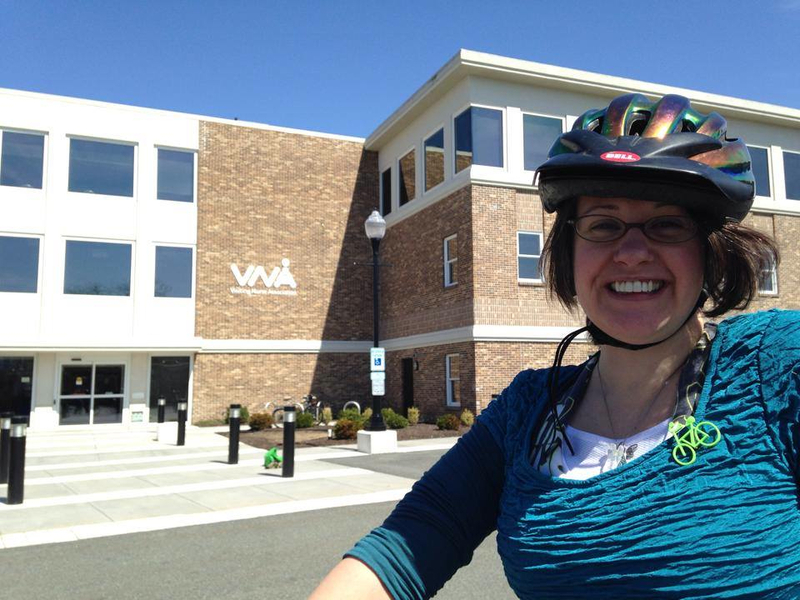 If you still need convincing, check out what Morristown resident Becca Karger had to say to the Daily Record about the Bicycle Traffic Skills 101 Class she took in April. 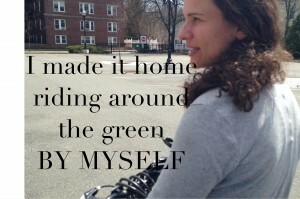 Becca also gave us a shot of happiness when she she rode home after the class and said “I made it home riding around the green BY MYSELF.” That’s a pretty big accomplishment! We also have a couple short 2-hour Adult Learn to Ride Classes that are really our favorites to host. If you or someone you know has always wished they had learned to ride a bike when they were younger, hey, it’s not too late. TransOption’s Bill Feeney teaches this class and students learn how to balance, pedal, start and stop. Most students learn to ride during the class, but are welcome to come back for future classes to keep learning if needed and also leave knowing easy, crash-free and low stress ways to teach themselves. The Adult Learn to Ride Classes are offered on May 10 and on July 19. Register for any of our classes online at our Bike Walk Town Eventbrite page. Many thanks to the Visiting Nurse Association of Northern New Jersey for the loan of the best parking lot in Morristown!